Illustration by Neil Webb; BuzzFeed. The potential effects of a New Madrid quake are well understood by experts and the insurance industry, but not the general public. The fact a big New Madrid quake could shake St. Louis, Nashville, and even Chicago is a bit of a secret compared to the awareness around potential California earthquakes, or even a quake in the Cascadia seismic zone (which was unknown to modern experts less than 50 years ago). It is important that New Madrid is included in the earthquake conversation with the more well-known west coast seismic zones when discussing coverage gaps and resiliency. While scientists generally understand the geological mechanisms generating earthquake events, many of the earthquake sources, i.e., faults, remain unmapped and unknown to the scientific community. 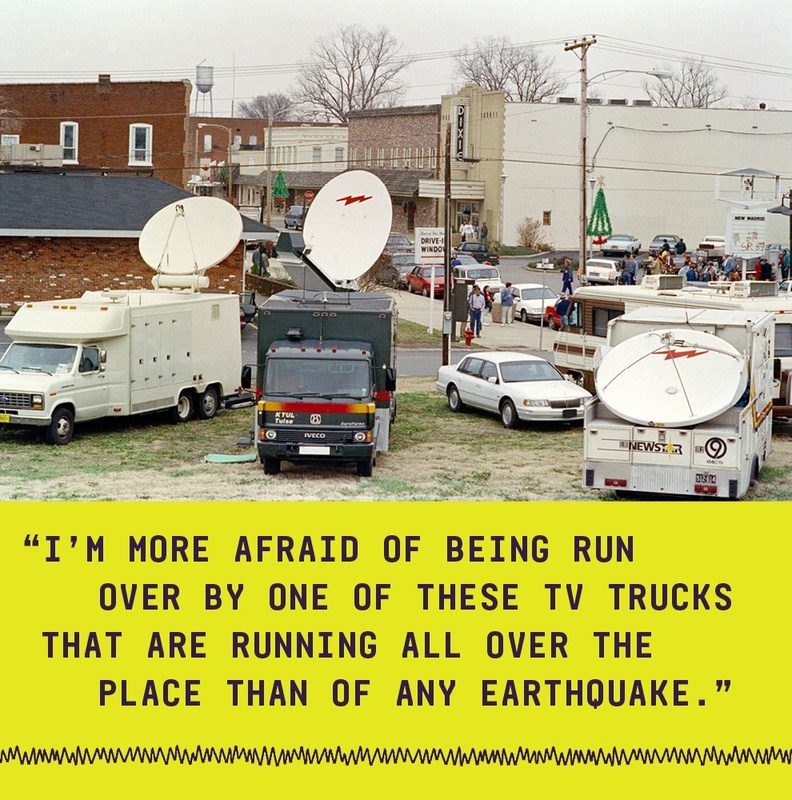 Actual events are frequently surprises in terms of location, magnitude, and resulting damage. That pretty much sums up why Dr. Browning’s New Madrid prediction was a bit over-ambitious, and why they probably didn’t need to cancel school on December 3, 1990. While there is little uncertainty that another big earthquake is coming to New Madrid (and California, and Cascadia), the timing and nature of those earthquakes is extremely uncertain. In fact, it’s unknowable.